This came about from exposure to the Philly Pretzel Factory, a persistent urge to make it from scratch, and a weekend away with good friends. B and I decided we wanted to make these pretzel bites to bring to our weekend away in the Poconos for all to snack on. They were a real hit and were gone within the hour. I made these two days before we ate them. I stored them in containers and briefly reheated them before serving. Enjoy! 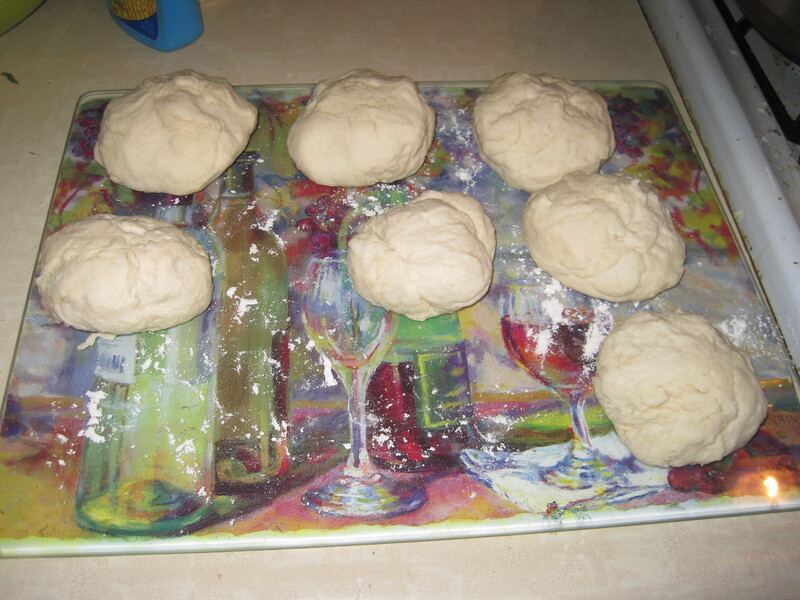 Divide the dough to make it easier to work with. 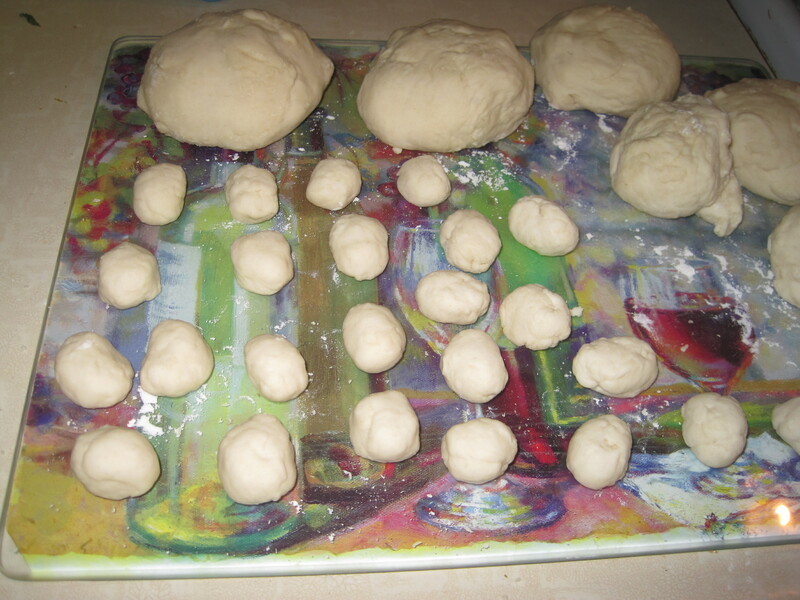 Take pieces of each section of the dough and roll into approximately 1 inch balls. If using the cinnamon sugar topping: Skip the step where you sprinkle lightly with salt. Combine sugar and cinnamon together in a bowl. Brush melted butter over pretzels. 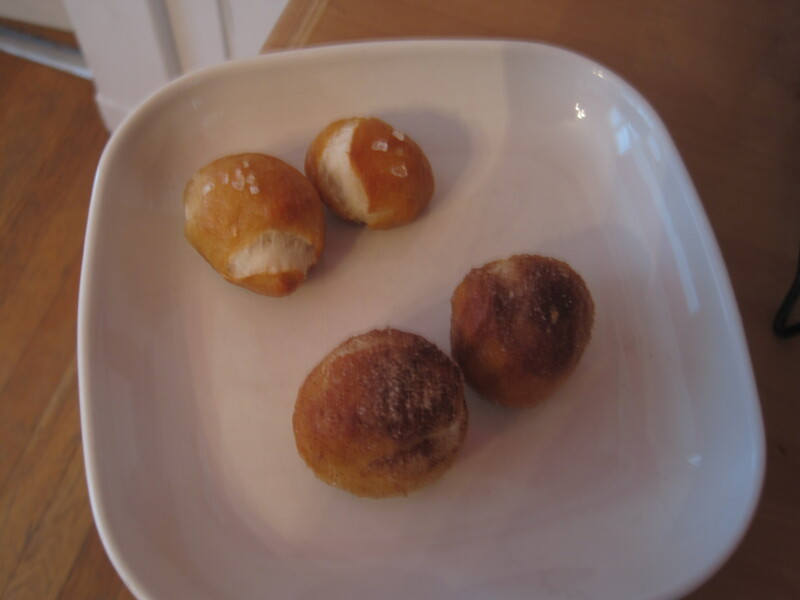 Sprinkle cinnamon-sugar mixture over pretzels.